Most of us don’t start to experience problems with our vision until we are older. Therefore, we might not think it necessary to take our children to see an eye doctor until they are also a bit older. However, just like with their physical or mental health, eye health is an important part of overall wellness, and children should have regular screenings to ensure that their eyes are healthy and that there are no signs of visual deficiency or other more serious problems. Sleep. Getting a good night’s sleep is a key factor in having healthy eyes. As with general health care, your body is negatively affected by a lack of sleep. Deep sleep allows the body to restore itself. Burning the midnight oil puts added strain on the eyes and can have long-term effects on vision. Reduce stress. A lifestyle that is too busy and stressful puts a strain on all areas of the body. While muscle strains and headaches may be more noticeable symptoms, the eyes can suffer from the chronic stress over time as well. Drink water. Staying hydrated is another important factor for overall health and specifically, eye health. Dry eyes can be uncomfortable and cause a host of long-term eye diseases if left untreated. It causes inflammation and reduces the ability to create tears. Drinking more water is a simple solution to keep the lens wet and healthy. Diet. A healthy diet is good for more than losing weight or looking good in a swimsuit. Much like heart disease, eye problems can be prevented and treated (in some cases) with some simple dietary changes. Reduce the amount of fat consumed and avoid blood sugar spikes. A diabetic diet is a good place to start because it allows balance and promotes overall health. Exercise. Again, exercising is good for more than just weight loss and getting in better shape. It improves blood flow, reduces cholesterol, lowers blood pressure, and can help preserve good eyesight. Laser-assisted surgery, better known as LASIK, is generally accepted as a safe and easy way to repair eye problems and ditch glasses and contact lenses for good. It was approved by the FDA in 1995, but has been under scrutiny in recent years. The whole process takes place with half an hour. It begins by numbing the eye with solution. Once they stabilize the eye with a ring to minimize the risk of bursting blood vessels, a laser is used to make a tiny incision on the lens. The lens is lifted, reshaped and returned to it’s original position. As with any surgery, LASIK does carry some risk. Though it seems simple enough, it does have some minor side effects and it carries the risk of more serious long-term effects. While the surgery has a very high satisfaction rate among those who’ve had the procedure done, it is disappointing to some who still need to wear glasses again at some point. The long-term effects of LASIK are still unknown and need more research. Weigh your options carefully and get a second opinion before making the decision to have the surgery. Your eye health is an important part of your overall health and wellness. Annual eye exams are essential for monitoring your eye health, including any loss of vision and any signs of eye disease, such as glaucoma or macular degeneration. Symptoms of some eye diseases may not appear until the condition has progressed, so regular eye check-ups are the best way to catch the disease before it advances and leads to serious complications, such as blindness. Besides seeing your eye doctor once a year for your vision exam, there are many other things you can do to take care of your vision at home. Holistic health care is a good complement for traditional medical care, and it can help you to preserve your vision for many more years to come. Vitamin A has been shown to be one of the most important vitamins for eye health. Vitamin A supports the health of the retina, which is essential to overall eye health. Studies have shown that a lack of Vitamin A can lead to childhood blindness and other eye disease. It can also contribute to a degeneration of your vision. Foods that are naturally high in Vitamin A include eggs (the whole egg, not just the whites), beef liver, and whole milk. Of course, you can also take a good multivitamin or Vitamin A supplements to get the recommended daily allowance. Fish oil is loaded with heart-healthy fats that have been linked to a number of positive health outcomes. Turns out that fish oil can also be good for your eye health. A study in the journal Archives of Ophthalmology in 2006 found that seniors who ate fish at least two a week were almost half as likely to develop age-related macular degeneration than those who only ate fish once a week or less. Oily fish like salmon, mackerel and anchovies are the best choices for eye health. However, fish oil supplements are readily available for those who do not like the taste of fish or who do not want to eat it that frequently. You can take the supplements in pill form or as an oil to add to smoothies and other recipes. Just like your body, exercise is good for your eyes. By working the muscles in your eyes, you make them stronger, helping to preserve your vision and to reduce your risk of eye disease. Every 20 minutes or so, look to an object in the distance and focus your attention on it for a few moments. This allows you to sharpen your focus on distant objects, as well as giving you a break from intense focus on your computer screen or other work, which can strain your eyes. Another excellent exercise involves you closing your eyes and massaging them lightly with the tips of your fingers. Use circular movements for about two minutes to help reduce the pressure in your eyes. A build-up of pressure can lead to a number of eye ailments. Simple neck rolls can also benefit your eyes. Simply close your eyes and roll your head forward, then to each side. After a long and stressful day, your eyes can feel strained, sore and puffy. Using a simple compress on your eyes can help to relieve that soreness and swelling, helping to preserve the health of your eyes. Use a cool eye mask, a cool wash cloth, or even slices of cucumber on your eyes. Lay quietly with the compress for 10 to 15 minutes to give your eyes some relief. 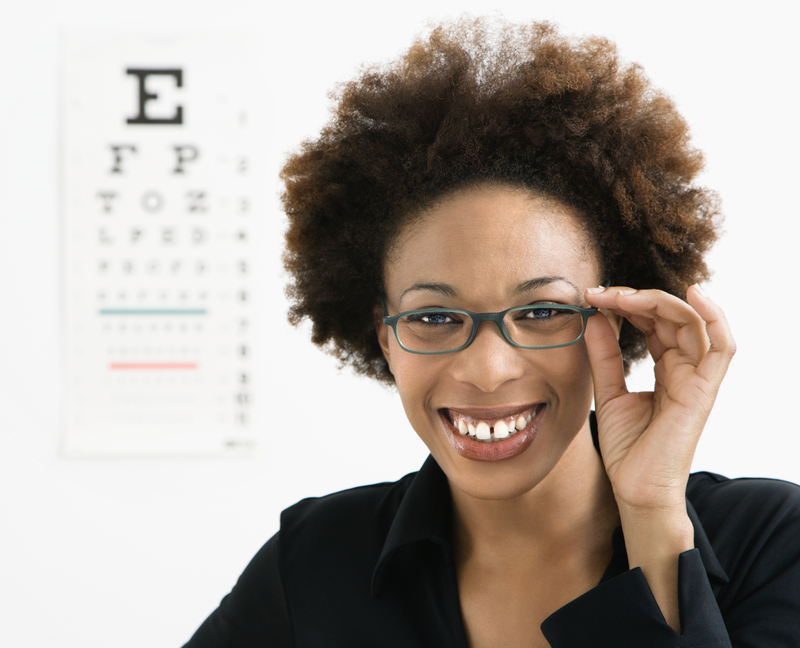 Sometimes, the best thing you can do to preserve your eye health is to take protective measures. It’s a good idea to wear sunglasses whenever you are out, even if it’s not a sunny day, since UV rays can damage your eye sight. Obviously, when you are out on a bright day, it is especially important to wear sunglasses, and you might also want to wear a hat with a brim for additional protection. Never stare in the direction of bright light, even if you are wearing sunglasses and even if you are squinting. Make sure you always have enough light when you are reading or working on a computer. Even with a backlit computer screen, you need to have enough light in the room so that you don’t have to strain your eyes. Never strain your eyes to see anything. If you can’t see an item at a distance, you may need corrective lenses. 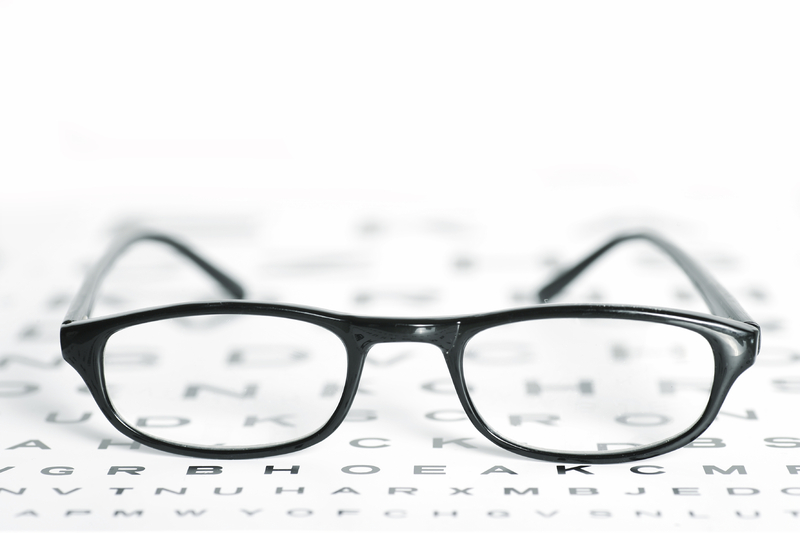 If you can’t read items up close, you may also need corrective lenses. Always wearing your glasses or contact lenses and always reading with the appropriate amount of light can ensure that you never strain your eyes and put undue pressure on them. Good eye health starts with you. Just like you have to eat a healthy diet and exercise to protect your overall health, you have to take the right preventive measures to take care of your eye health. Eating the right foods, protecting your eye sight and practicing eye exercises can help you to strengthen your vision and to reduce your risk of eye disease or loss of vision. The use of light therapy can be used to treat mood disorders and skin conditions. It was first discovered in 1903 and was used to treat tuberculosis. It can also help with vision impairments though. Exposure to daylight, florescent bulbs, and color therapy are useful in correcting mild eye problems. They are especially helpful for kids with vision problems. Kids often experience a hard time in school because they have trouble reading the board, using computers, have dyslexia, get frequent headaches, or have trouble staying focused. Diagnosing the problem and getting the necessary treatment is difficult, however, as it can be misread a s a learning disability, laziness, or attention-deficit disorder. Light therapy improves brain functioning and makes the connection between the brain and vision. One the connection is made problems with vision are solved. Though it is approved as a home remedy for eye problems, it must be supervised by an adult. Also, it’s unsafe for anyone who has a history of seizures.